The Claimant was born on the (date removed) and so was three months old at the time of the accident. Infant Claimant was a restrained front seat passenger in a stationary vehicle which was hit in the rear by the Defendant’s vehicle. I understand there is no dispute on liability. Immediately after the accident Infant Claimant upset and crying and shortly after she developed bruising across the front of the thighs and back of the right thigh. Infant Claimant was taken to the Accident and Emergency Department of her local hospital where she was examined and appropriate advice provided. Infant Claimant was also taken to see her GP two days after the accident and further advice was provided. As a result of her accident related injuries Infant Claimant’s sleep pattern was disrupted for two months and she developed travel anxiety for two months. The medical expert examination which took place on around 15 months post-accident. Fortunately at the time of the examination the Claimant had made a full recovery from all accident related symptoms however the expert diagnosed the Claimant as having sustained soft tissue injuries to both thighs which resolved after two months and sleep disturbance and travel anxiety which also resolved after two months. In assessing damages for Infant Claimant’s injuries the Court will have regard to Judicial College Guidelines for the Assessment of General Damages (13th Edition) and in particular Chapter 13(c) in relation to minor injuries which provides a bracket of £1,160 to £2,050 where there is a complete recovery within 3 months. The commentary to that section specifically refers to travel anxiety as falling within the Chapter. The Court may, however, simply regard the anxiety symptoms as being aggravating features of the injury as a whole rather than warranting a separate award. Taking into account the Judicial College Guidelines and the above cases, I am of the opinion that the Claimant’s injuries would attract an award for general damages in the region of £1,250 to £1,500 for the whiplash injury claim to a child inclusive of the Simmons v Castle If an offer is made which falls within or above this bracket I would respectfully urge the Court to approve the same. If you have been involved in a road traffic accident and you a driver and or a child was a passenger in the vehicle you and all the occupants of the car may claim for any injuries sustained. 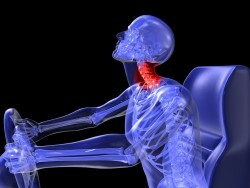 Generally most types of injury in a road traffic accident involves whiplash claims.